If you are thinking about adopting a pair of oldies, you may want to read our article Are Two Oldies better than One? 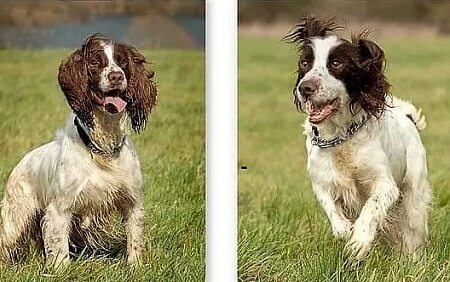 Can you resist this lovely pair of energetic English Springer Spaniels, Charlie Girl and Oscar? 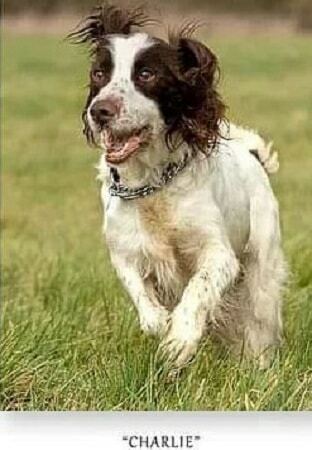 They are looking for a home together and are being cared for by South Yorkshire English Springer Spaniel Rescue. Their owner could no longer look after them and they were being left alone for very long hours. Charlie is around 14 years old and when she arrived in rescue she was quite underweight. She has been vet-checked and is healthy for her age, so this appears to be either due to stress at being left or that Oscar was eating her share. She is now gaining weight but will need to have small, regular meals until she is back to her optimum weight. Charlie is obviously an older lady but she is still fit, wants to go for a walk and is very good at keeping up with Oscar. Given her age, SYESSR would be able to help with the costs of future related veterinary costs if necessary. Oscar is a lovely, handsome lad who is around 10 years old. He is strong on the lead and will need someone strong enough to cope with this or happy to use a halti. He is still a lively lad with plenty to give. Charlie Girl and Oscar are very friendly with other dogs and are good off the lead, loving nothing more that a game of fetch with a ball. These two have been together for a long time and would love to find a home together. Whoever offers them a home would not be disappointed. 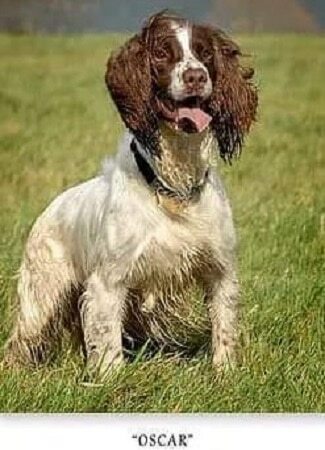 If you love Spaniels and think you would like to offer them a loving home, please contact South Yorkshire English Springer Spaniel Rescue. Please mention that you saw Charlie Girl and Oscar on the Oldies Club website.